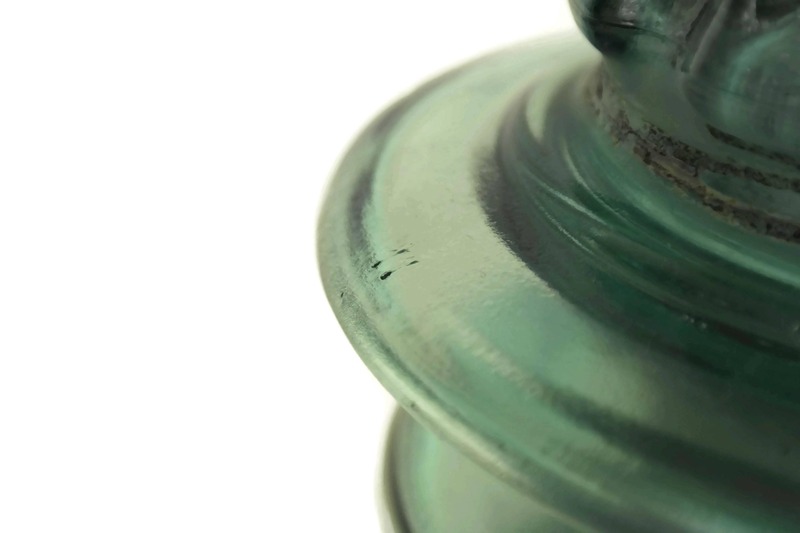 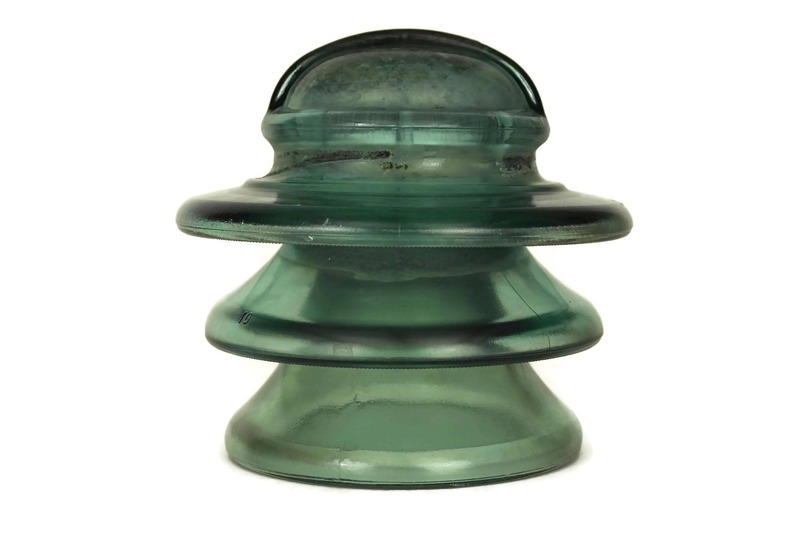 Large Green Glass Insulator. 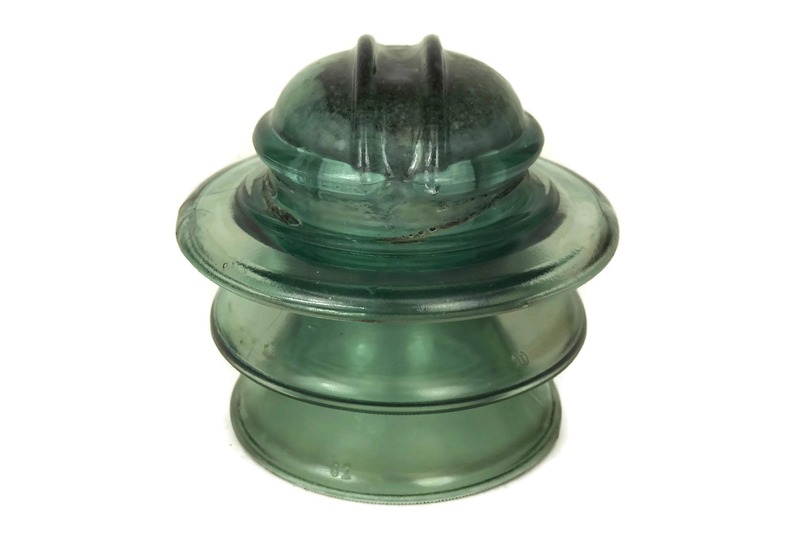 French Vintage Industrial Decor Electric Insulator. 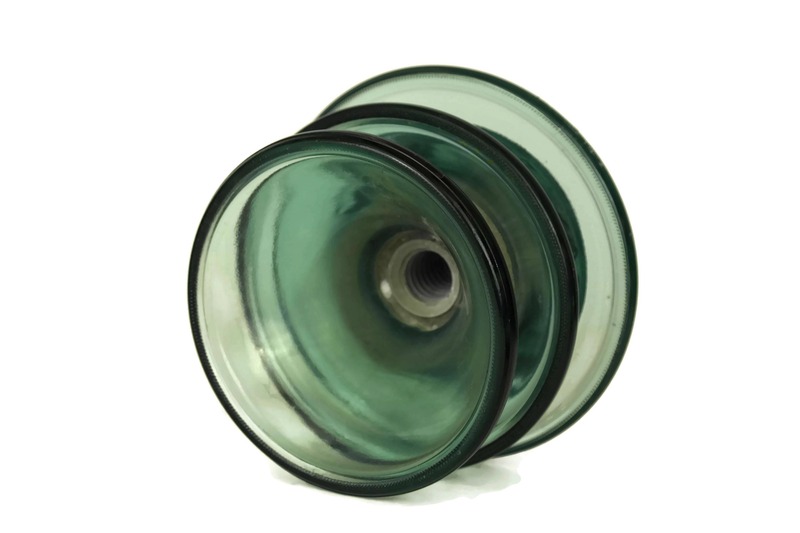 Curiosity Cabinet Gift For Geek. 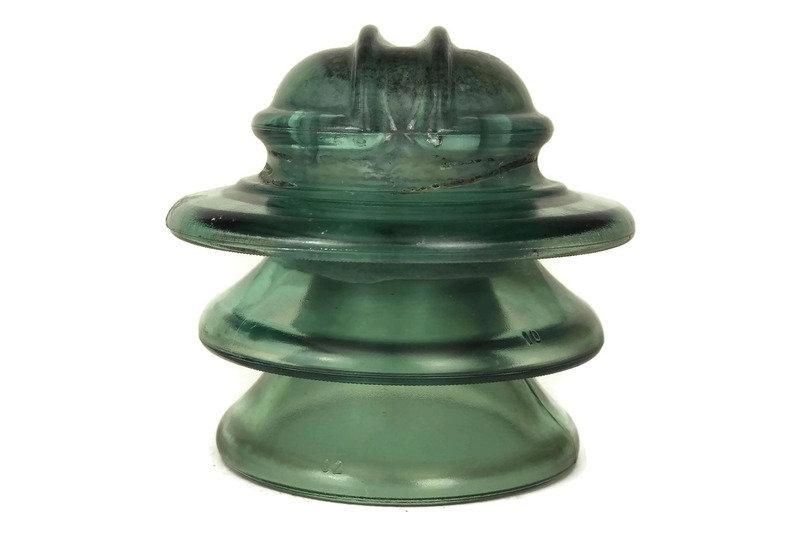 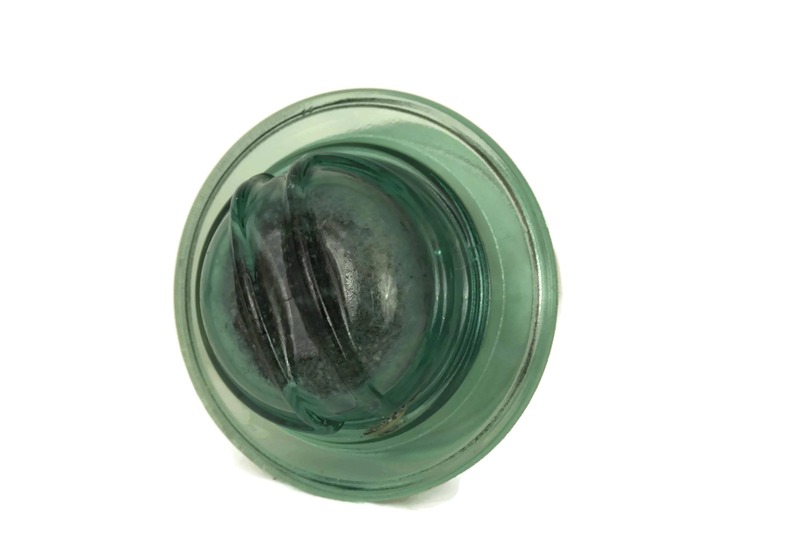 A vintage green glass insulator manufactured in France. 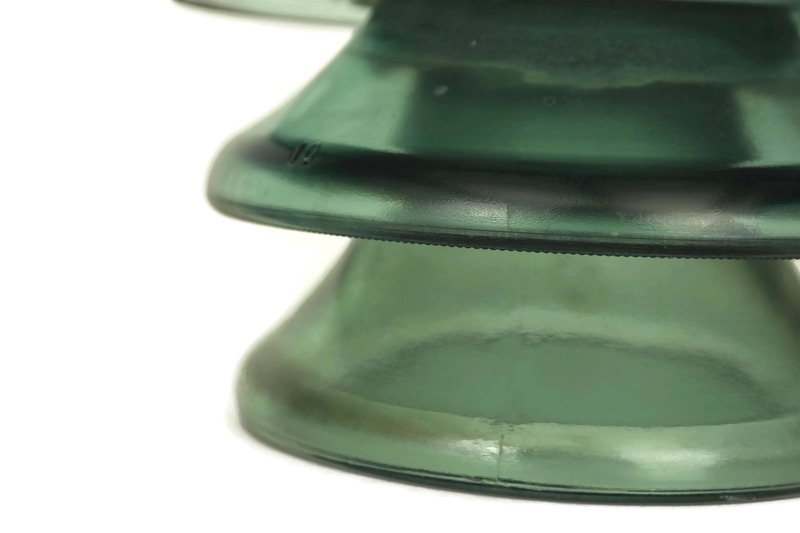 The high tension electric insulator is large and heavy and is a multi part with 3 sections that have been cemented together. 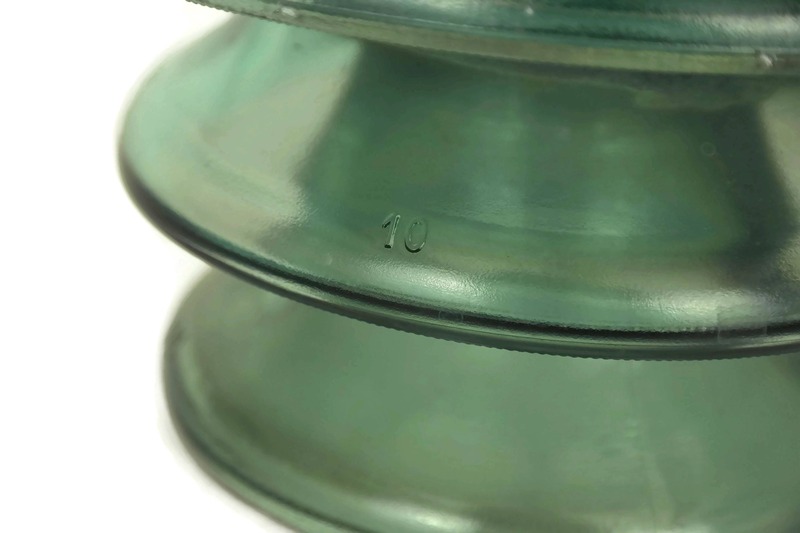 The rims of each section have the molded numbers "11", "10" and "02" in descending order. 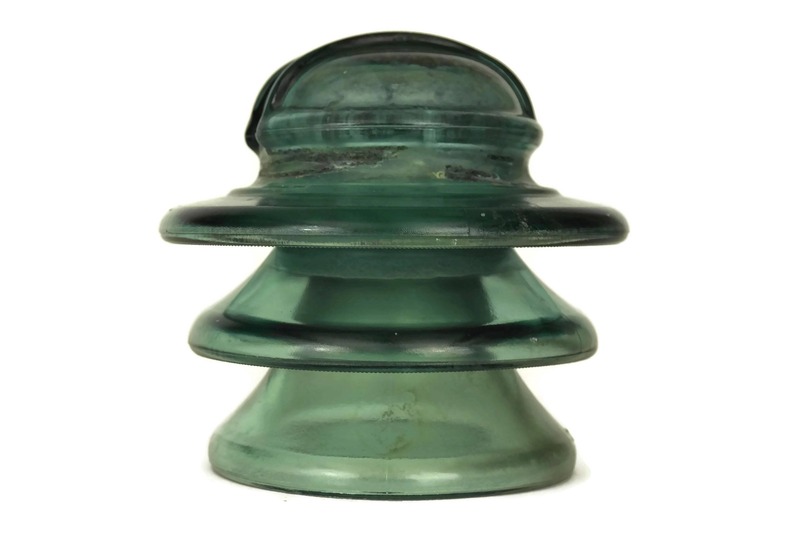 7" tall x 7" wide (18 cm x 18 cm). 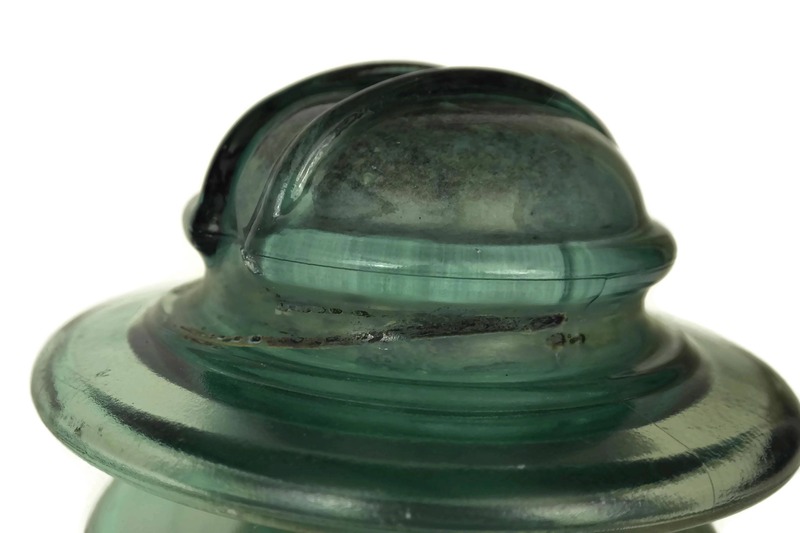 Very good condition with light wear and surface marks.